There are a multitude of tools and resources available on the Internet for students with dyslexia, but finding the best sites can be very challenging. This blog features a summary of Dr. Erica Warren’s site, Dyslexia Materials. 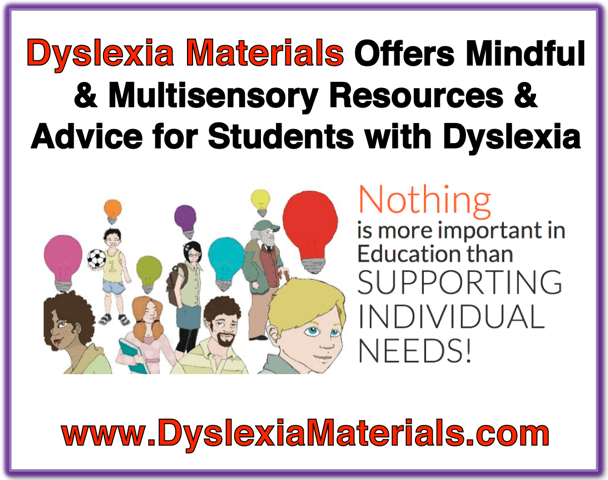 Dyslexia Materials is a comprehensive site that was created to offer teachers, homeschoolers, therapists and individuals with dyslexia free advice, resources and multisensory educational materials. Who is the Author of Dyslexia Materials? Dr. Erica Warren, a learning specialist, educational therapist, and personal trainer for the brain who lives and works in New York, created Dyslexia Materials. Dr. Warren has a master’s degree in educational psychology and a doctorate in a combination of school psychology, special education and adult education. Her “secret weapon,” however, is reported to be her undergraduate degree in fine arts. Dr. Warren has worked one on one with students in her private practice for over 15 years and her main goal is to help struggling learners kindle a joy for learning, strengthen challenging areas of cognition and develop compensatory learning strategies so each student can maximize his or her learning potential. Dyslexia Materials presents a multitude of free advice, links and resources for a dyslexic population of learners as well as their service providers. Here you can peruse through a comprehensive offering of videos, podcasts, blogs, webinars, organizations, articles, technology, colleges, camps, schools, and more. 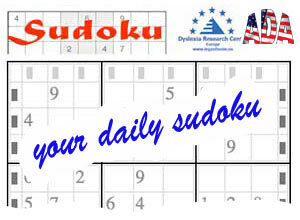 Dr. Warren even shares other tools that she uses in her own private practice. What Products are for Sale? Dyslexia Materials also offers a large selection of game-like, multisensory products for purchase, with many products featuring free samples. All of the materials are available as digital downloads and a select few are offered as hard goods. These tools integrate enjoyable activities to teach challenging academic content in the areas of reading, writing, and math. Other fun and engaging materials focus on weak areas of cognition so that areas of deficit can be remediated. These brain games develop organization, memory, sequencing, language processing, visual processing, auditory processing, processing speed and more.